Watching and helping children to grow, explore and learn is a rewarding experience that still keeps me excited. I think some of the best things about being a nanny is learning about the children you care for and what they love and turning it into something they can learn about through play, and exploration of the world around them. When I look back on my nanny experiences I feel very thankful. I’ve experienced many precious moments with children – playing, wiping their tears, singing, reading and giggling, encouraging good manners and how to be respectful of ones’ self and others. I have a bubbly and friendly personality and I believe children benefit from a loving and fun, but also a firm and consistent upbringing, with plenty of playtime and educational activities. I always strive to provide this with each family that I have worked with. 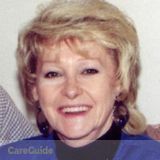 I am a reliable, energetic and organized nanny with over fifteen years experience in childcare. In 2007 I moved from Ontario to Halifax to continue my six-year full time nanny position for a wonderful family of a four-year-old child with special needs. I also worked a part time position for a family with children aged 6, 9 and 12. For the past year I have been working full time for a two-physician family caring for their now fourteen-month-old daughter. Due to their moving to the United States I am now available to take on another full time nanny position and welcome the opportunity to meet with you. I am a fun, caring, and experienced nanny!